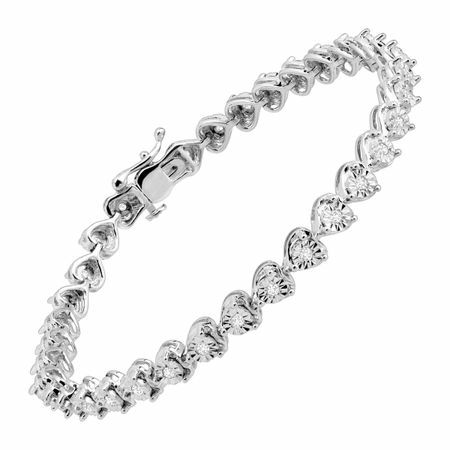 This bright tennis bracelet is the perfect accessory for an evening out. Round-cut diamonds, totaling 1/2 ct, are set in each link, crafted in sterling silver. Bracelet measures 7 inches in length and features a box clasp with tongue and safety.